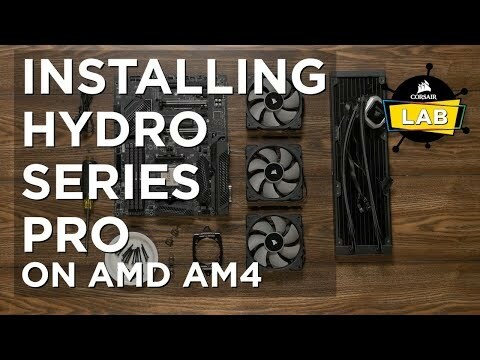 HYDRO SERIES SELF-CONTAINED COOLING SYSTEMThe Hydro Series H115i Pro is an extreme performance, all-in-one liquid CPU cooler for cases with 280mm radiator mounts. The 280mm radiator and dual ML140 Magnetic Levitation PWM fans provide excellent heat dissipation you need for highly overclocked CPUs. 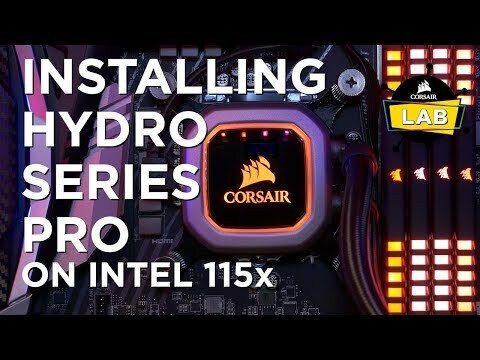 You can install the H115i Pro with ease as it includes a modular tool-free mounting brackets for most modern socket CPUs. Take control with CORSAIR LINK software and customize RGB lighting, monitor temperatures and precisely adjust fan speeds, or stop the cooling fans entirely with the H115i’s Zero RPM fan mode. The H115i makes it easy to cool your system in silence and style. low-noise RGB LED pump Vibrant RGB LED pump head produces vivid lighting effects to add a touch of brilliance to any build. The H115i Pro also features advanced pump speed control options to maximize performance or minimize noise. HIGH DENSITY RADIATOR The double-wide radiator offers excellent cooling potential. It fits virtually any case that has dual 140mm fan mounts spaced for a 280mm radiator so you can experience even lower CPU temperatures. 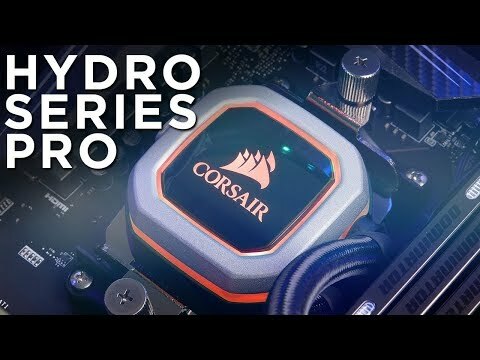 Corsair Hydro Series H115i PRO RGB, 280mm All-In-One Hydro CPU Cooler, 2x 140mm ML Series Fans, RGB Pump Head, Intel/AMD is rated 3.5 out of 5 by 2. Rated 5 out of 5 by Ra1ndr0pz from Brilliant Corsair CPU cooler After reading multiple reviews on this cooler I decided to go ahead and purchase it. I have an ASUS Maximus Hero XI with an intel i7 9700k and it keeps it nice and cool. I've just recently built my battle station and on turning it on and going into BIOS it was reading a cool 28°C (see attached picture). Overall I'm very happy with the purchase, and I recommend it to others who need a high performance cooler. Rated 2 out of 5 by Mark1973 from Not sure this was an upgrade So I've had an H100 for some time and it was a pretty solid unit but it was time to renew and I thought a slightly larger radiator and fans would be better. Firstly the unit looks a lot cheaper and flimsier than the older units. I immediately thought they've reduced the manufacturing quality and then the real problems started confirming my suspicions. The cooling performance was shockingly bad, then I realised if I pushed the on top of the cooler the temperature dropped. This unit isn't compatible with ASUS Apex motherboards I had to bend the cooler arms to make sure it touched the CPU. On top of that, the pre-applied thermal paste on the cooler was dry as a bone. I had to remove all the paste and apply my own. Finally, I don't believe the H115 provides any better performance than the old H100s. I hate to think what the later versions of the H100 are like. I will be changing the entire case and cooling out for a custom loop but for the meantime, it will do. I won't be purchasing Corsair coolers anymore. Will this fit in the top of the corsair 460x crystal? Will this fit the 1151 socket? I received mine today but noticed on the box its doesnt say it fits 1151. In your website specs it says 1151 but on the corsair box is is 1150, 1155 &amp; 1156?